The Junior Iditarod is a 200 mile race held the weekend before the Iditarod for kids ages fourteen to seventeen. It’s patterned after the Iditarod and, in fact, many Junior Iditarod mushers have gone on to compete in the Iditarod! The primary focuses of the Junior Iditarod are animal care, sportsmanship, education, and promoting the sport of mushing. Here are some Junior Iditarod stories for you to enjoy! 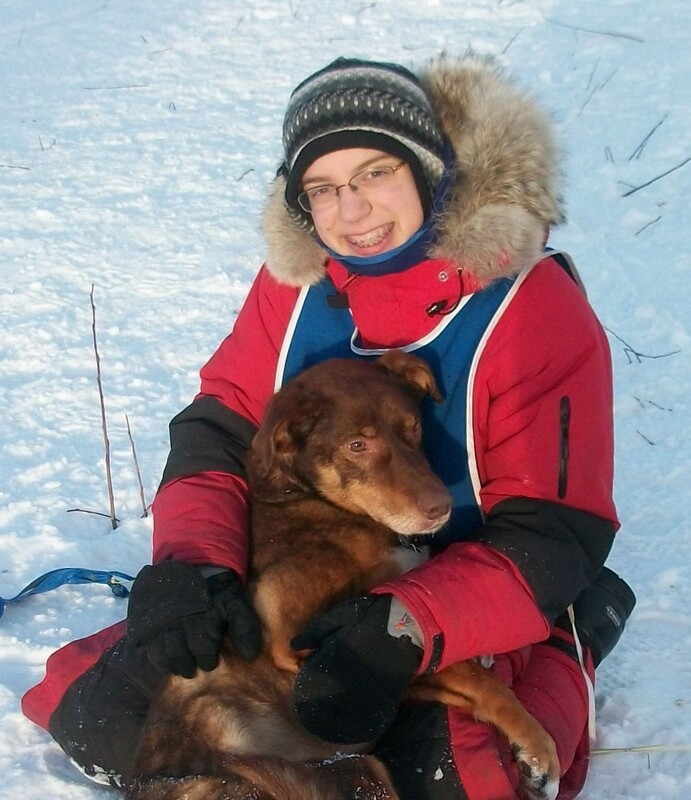 Lacey Hart completed her rookie run in the Junior Iditarod in 2009. This year she is serving as the Race Marshall for the race. She was gracious enough to allow me to share this section of her book, Dog Girl. This book is a great book for middle grade readers, or as a read aloud to younger kids. In this section, “Layover”, Lacey has reached the halfway layover and is going through her routine… but of course there are still a few speed bumps in the way! It’s a great way to introduce kids to what happens in a checkpoint. Lacey’s insights also help us realize that even when things aren’t going the way we want them to, it’s still possible to see the magic in any situation. Excerpt used with permission. Dog Girl © 2011-2014 Lacey Hart. All rights reserved. Many years ago our daughter Lacey Hart came home from school and told us she was going to be a dog musher and run the Iditarod. Her 4th grade class in Livingston, Montana was doing an “Iditaread” program, and so she was learning about dog mushing. She was 8 years old at the time, so you can imagine that this was quite a statement to make to her parents. We of course told her no! but did allow that if a year later if she still wanted to be a musher, we would support her ambition. Sure enough she spent that year reading all she could about dog mushing. She had a passion that I had never seen in a child that age. One year to the day, she found a sled dog tour kennel that was going out of business and overnight became the owner of a 17 dog kennel. She cared for the dogs and was/is their sole provider. At eight years of age she toted 50 pound sacks of feed, carried water and picked up after her team. In the freezing rain, the heat of summers, feet of snow, in all conditions she tended to her dogs. When she was 14 we drove up from Montana to Alaska so she could run the Jr Iditarod. She placed in the back of the pack but did win the Humanitarian award. That sealed her plans and now she is struggling to put together an Iditarod team. She is this year’s Race Marshall for the Jr. Iditarod.